Upwood Holiday Park01535 644242work Holiday, Touring & Camping ParkUpwood Holiday Park is a caravan and camping park located in Oxenhope. Our accommodation boasts panoramic views over the beautiful surrounding countryside. The park is pleasantly situated close to the Yorkshire Dales National Park, one mile from the Bronte village of Haworth and the Worth Valley steam railway. For fishing and golf enthusiasts there are facilities close by. The site is licensed for touring caravans, tents, motor caravans, static holiday caravans and residential homes, as well as camping pods - 10 standard and 5 mega pod (bed ,toilet and kitchen area). Electric hook-ups, seasonal pitches and storage are available for tourers. A selection of new and used holiday caravans and residential units are for sale and hire. Launderette with ironing and dishwashing facilities. Children's play equipment. Large, modern toilet facilities with hair dryers and shaver points, plus modern toilets for the disabled. Games room with pool and table tennis. Large, comfortable lounge bar with adjacent children' s room, serving bar snacks. Calor gas stockist. Small shop for essential items. Well-behaved pets welcome. Camping and caravanning listed site. David Bellamy Conservation Award. 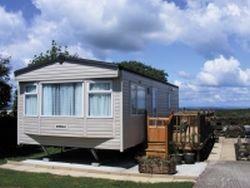 Upwood Holiday Park is licensed for touring caravans, tents, motor caravans, static holiday caravans. Electric hook-ups, seasonal pitches and storage are available for tourers. Now an electric car charge point available. Breakfast and evening meals are available at weekends. Children welcome from any age. A629 Halifax - Keighley. Turn left down B6144 by Flappit Public House. One mile turn left into Blackmoor Road. Site entrance one mile on left. Tourer/Tent entrance 3rd on right. From station turn right, then left up Brough Road. At crossroads go straight ahead, after 100m turn right up Black Moor Road, caravan park 1 mile on left-hand side.